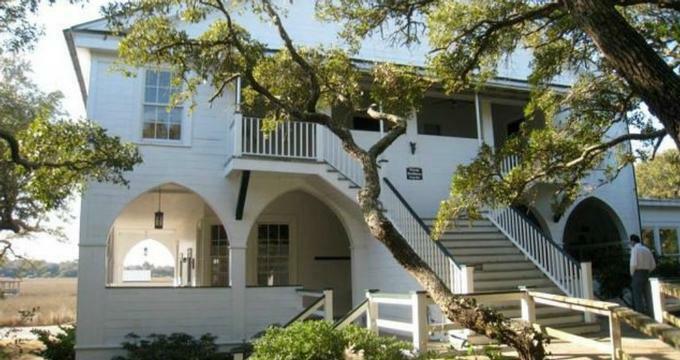 The Pelican Inn is a charming bed and breakfast located on the beachfront on Pawleys Island that offers a relaxing seaside escape for the whole family. 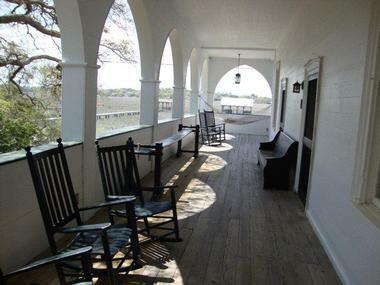 Built in the 1840s and situated 70 miles north of Charleston on the South Carolina coast, the Pelican Inn features eight deluxe guest rooms with en-suite bathrooms, shady porches with hammocks (which were invented on Pawleys Island in the late 1800s), and modern amenities to ensure every need is met. Overlooking the salt marshes of Pawleys Island, the rustic Inn’s guest rooms boast wooden ceilings and floors, period wood furnishings, and modern amenities, such as air-conditioning. 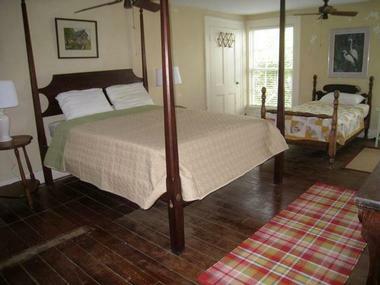 Some rooms have private bathrooms with walk-in showers and/or soaking bathtubs, and the Inn has direct beach access via a boardwalk through an oak copse. In addition to beautifully appointed guest rooms with spectacular ocean views, the Pelican Inn serves a delicious complimentary breakfast every morning, as well as midday dinner every day featuring low-country cuisine and homespun desserts. Flanked by salt marshes and the sparkling Atlantic Ocean, the Pelican Inn is situated just a short drive from Atalaya Castle in Huntingdon Beach State Park and the True Blue Golf Club. p>The Pelican Inn has eight deluxe guest rooms with private en-suite bathrooms and comfortable sitting areas that boast beautiful views over the garden. Each of the luxurious guest rooms boasts its own distinctive style and character with charming nautical-style décor and modern amenities. Private en-suite bathrooms have walk-in showers, thick towels and plush bath products and bright sitting areas feature comfortable furnishings, and modern amenities, including flat-screen televisions. The Pelican Inn serves a delicious complimentary breakfast every morning, as well as midday dinner every day featuring low-country cuisine and homespun desserts. Breakfasts include fresh fruit juice and platters of fruit, eggs, sausage or bacon, grits, and toast, and freshly brewed coffee. 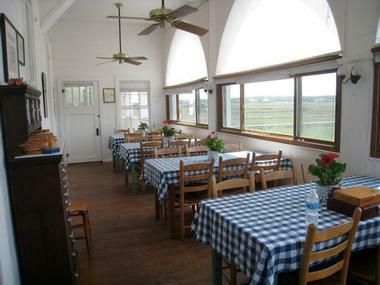 Lunches feature freshly prepared salads, fried chicken, fresh vegetables, homemade biscuits, and indulgent desserts. Dinner includes a mouth-watering array of fresh seafood, such as gumbo, jambalaya, crab divine, and oyster pie, pasta, salads, and bread pudding. One of the oldest summer resorts on the East Coast and known as ‘arrogantly shabby,’ Pawleys Island exudes a carefree, laid-back lifestyle that attracts the rich and famous from afar to come and relax. The island’s historic district is home to 12 residences dating back to the late 1700s, while the coastline offers beautiful beaches, undulating sand dunes, and little creeks for crabbing and fishing. Pawley's Island is well known for being a popular tourist attraction and offers a variety of activities to enjoy. Fishing is one of the biggest attractions on the island with fishing charters, inshore fishing, and surf fishing being some of the options on hand. Other tours relating to aquatic life are also available, such as the Blue Waves Adventure Dolphin Tour, while historical tours include the Hocobaw Barony, which explores a 16,000 acre historic home featuring an array of endangered species and wildlife and beautiful scenery. Culture buffs will delight in the great variety of shows available on the island, ranging from shows at the Alabama Theatre, the House of Blues and the Crossroads Restaurant. Shoppers can enjoy excellent shopping at the large outdoor shopping and entertainment center of Barefoot Landing, which also hosts concerts, festivals, shows, restaurants, and cafés.